Salmontini Le Fumoir was founded by Joe Bassili, who acquired the expertise of smoking salmon from the Scotland Masters. 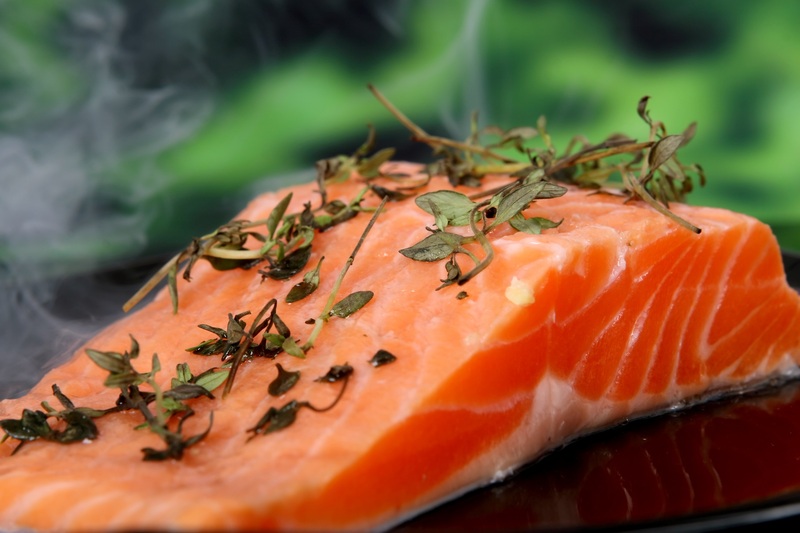 Salmontini has thrived over the years in satisfying her numerous customers who have also made her their favourite place to get the best quality salmons. Below are the reasons why Salmontini Le Fumoir has become the people’s choice. 1. For Salmontini, only the best is good enough. They source their salmons from the freshest waters and painstakingly follow the ancient traditional methods in its preparation. They manually cure; smoke and hand slice their salmon with patience and delicacy. 2. People believe hundreds of renowned chefs cannot be wrong at the same time. Salmontini has been trusted by Five Star Hotels, Award-Winning Chefs, and Food Connoisseurs like Hyatt and St. Regis, Atlantis, Fairmont, VFive, Paul Cafe chain, Jumeirah Etihad Towers properties in Abu Dhabi. 3. Salmontini makes sure their salmons are delivered to them on ice by plane minimum twice weekly to ensure that freshness and uncommon flavour are retained. 4. It’s their passion. Salmontini Le Fumoir is more than a business; it’s a passion. Their salmon is filleted and hand packaged by their team of experts who are enthusiastic about the ancient art of salmon preparation. 5. Their products are second to none. Their painstaking masterpiece operations are performed by steady experienced hands that pay attention to even the minutest details. 6. Their second to none expertise is displayed in the wafer-thin style of cutting their salmon from head to tail, preserving all its unrivaled taste. 7. Salmontini has a decade of positive track record of excellence. Most startup businesses have been said to crash within the first five years, yet Salmontini has been growing consistently stronger over the course of more than two decades. The words of her founder Joe Bassili, “Smoked with passion, driven by tradition” is the secret that has kept them going. 8. Salmontini Le Fumoir maintained the Mode Selection Award for three years consecutively between 2013 and 2016 in recognition of their proficiency in bringing the best out of salmons. 9. Variety is the spice of life! Salmontini has an option to match every taste! Through creativity, they have created products that are either ready to consume immediately or take away. 10. Salmontini’s process from beginning to end is customer focused. They are dedicated to your maximum satisfaction. That’s the reason people like you have made them and their products their favourite.